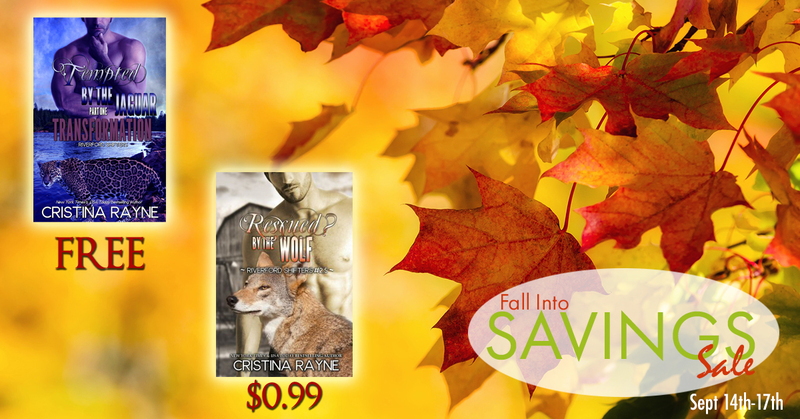 Cristina Rayne Fantasy and Paranormal Romance Author: Fall Into Savings Multi-Author EBook Sales Event! Fall Into Savings Multi-Author EBook Sales Event! For four days only, get various Romance titles from Paranormal, to Contemporary, to Sci-Fi for either $0.99 or FREE! All prices are subject to change without warning. Some deals not available in all countries or all vendors. Check the price before you click buy.